For those who are celebrating Thanksgiving today, I want to wish you all a happy and healthy holiday! While I have so many things I am grateful for, I cannot forget the people who are struggling for simple basic things, like peace, food and shelter. I pray for all people in these dire situations. 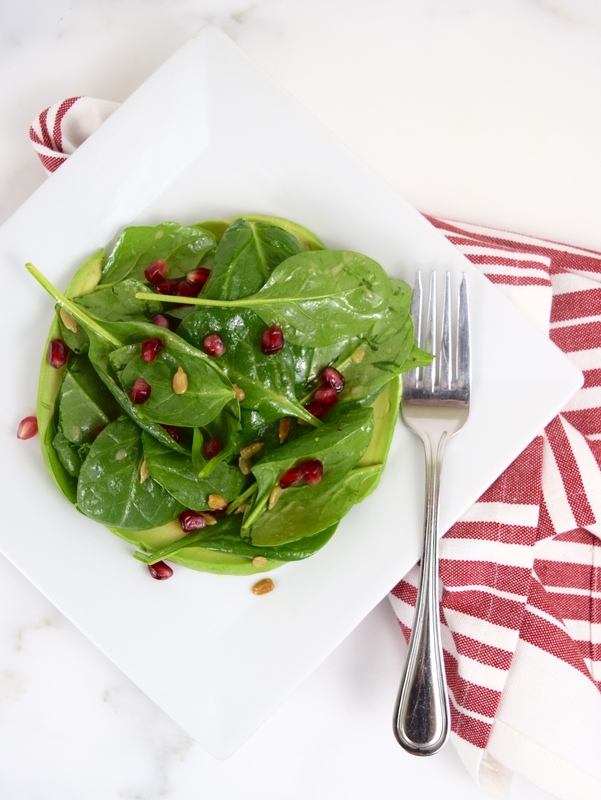 The recipe I am sharing with you for this week’s Fiesta Friday is a simple and very healthy salad of spinach, avocado, pomegranate seeds and sunflower seeds. 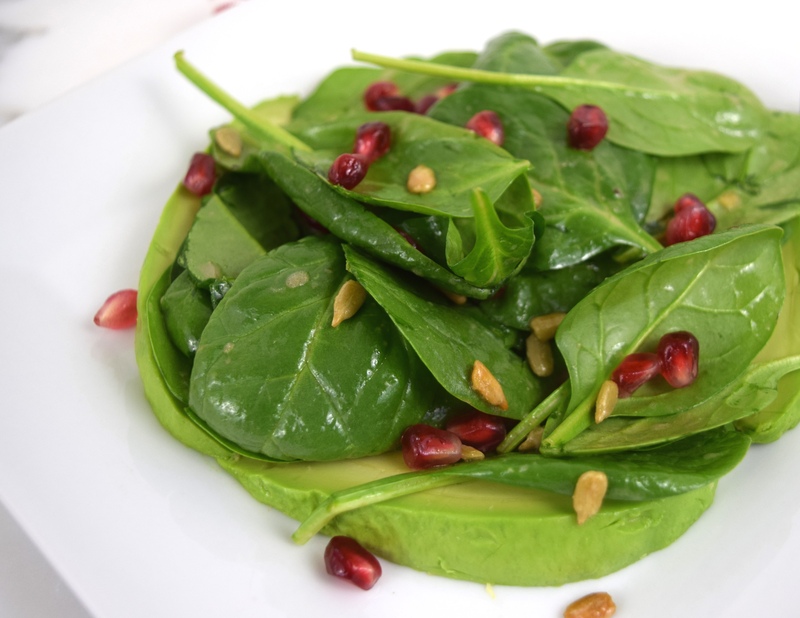 What made this salad so easy to make was I was able to use pre-washed organic baby spinach leaves and deseeded pomegranate! 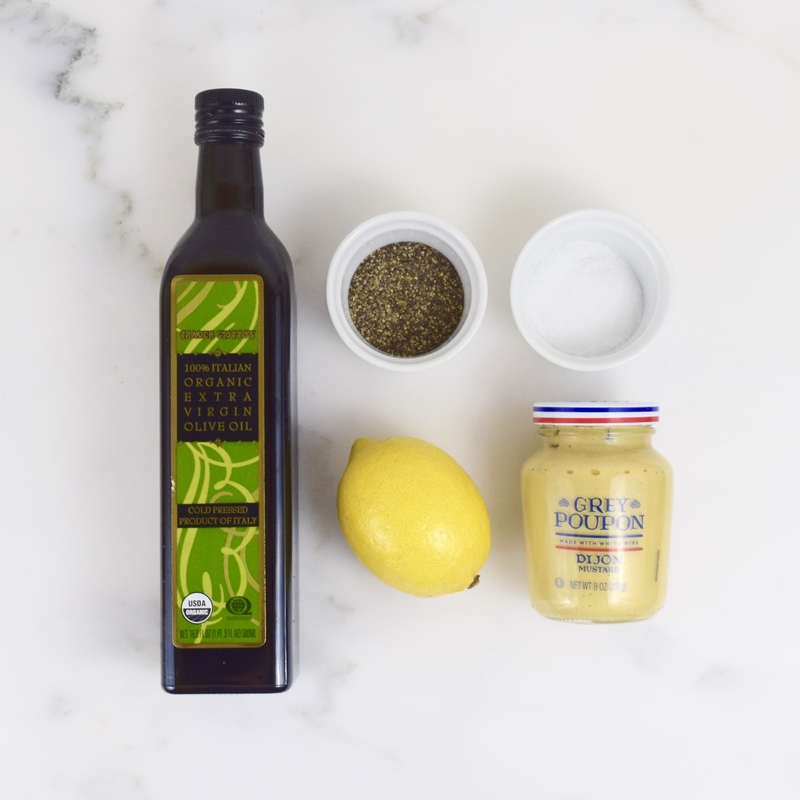 The dressing is a 5 ingredient vinaigrette with lemon juice, Dijon mustard and olive oil. My salad was adapted from Martha Stewart’s recipe with a few minor changes. It is such deliciously light salad to enjoy after some holiday overindulgence! For directions on how to deseed a pomegranate, please click on the following link: SimplyRecipes.com. Using a large bowl, whisk together lemon juice, mustard and oil. Add salt and pepper to taste. 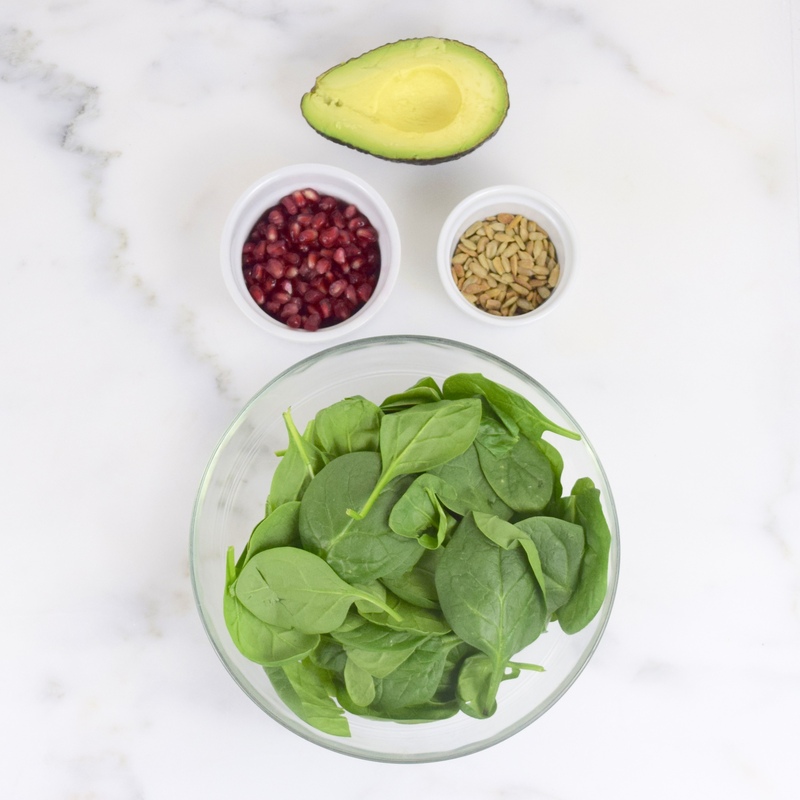 Then add spinach, sunflower seeds and pomegranate seeds to the large bowl with dressing. Arrange avocado slices on individual plates. Top with salad and serve immediately. 6 servings. I absolutely love this, and I have been LOVING pomegranates lately so I zeroed in right away when I saw this recipe! The flavors must balance so nicely ! Thank you, Juju. I hope you like it! This looks so beautiful and also sounds very healthy and tasty! Thanks for a great recipe! Thank you so much. I just love simple recipes! Absolutely love this simple salad with such healthy ingredients. Thanks for sharing. If you love avocado, I just made a salted chocolate and avocado raw cake! Recipe is here if you are interested! Thank you so much for sharing your link! I will definitely check it out!